MeterRing RT presents your organisation's energy and carbon performance, and renewables contribution in a high quality display designed to both captivate and inform. Internet based software - display anywhere! 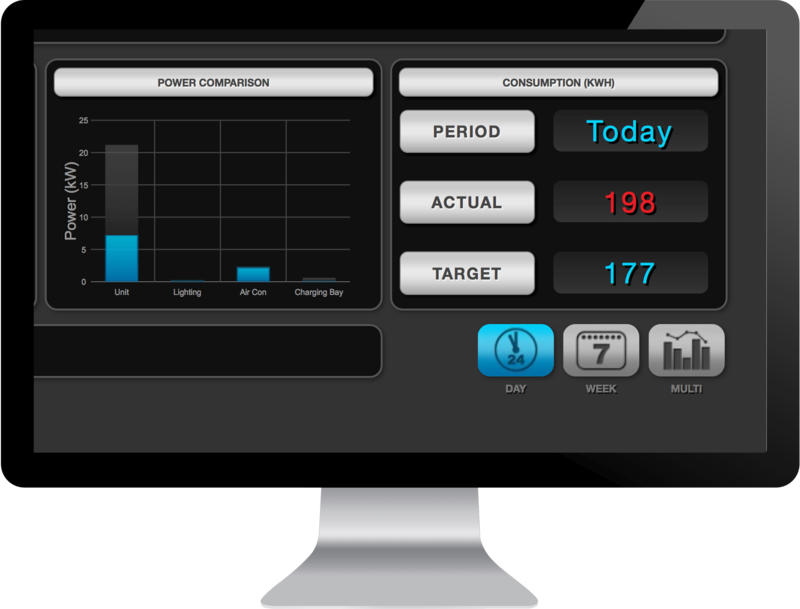 This energy monitoring software includes advanced setup options including virtual metering and meter aggregation to ensure that each display is accurately tailored to show real performance at organisational, building or department/ process level. Getting realtime screens installed is easy! Elcomponent has its own teams who will install the necessary hardware, arrange any fiscal meter data connections that may be required, and look after the web connection so you are up and running with the minimum of delay. MeterRing RT presents your organisation's energy and carbon performance, and renewables contribution in a high quality display designed to both captivate and inform. It's a fully integrated internet-based package that provides real time energy monitoring, takes care of reading the meters, configuring the data and presenting it via hi-resolution graphics. Elcomponent's twenty plus years experience in AMR and data presentation ensures that MeterRing RT ticks all the boxes. Its smoothly animating graphics and clean cutting-edge feel doesn't just look good - it attracts the viewer's attention and the carefully designed screens do much more than simply display an instantaneous meter reading. 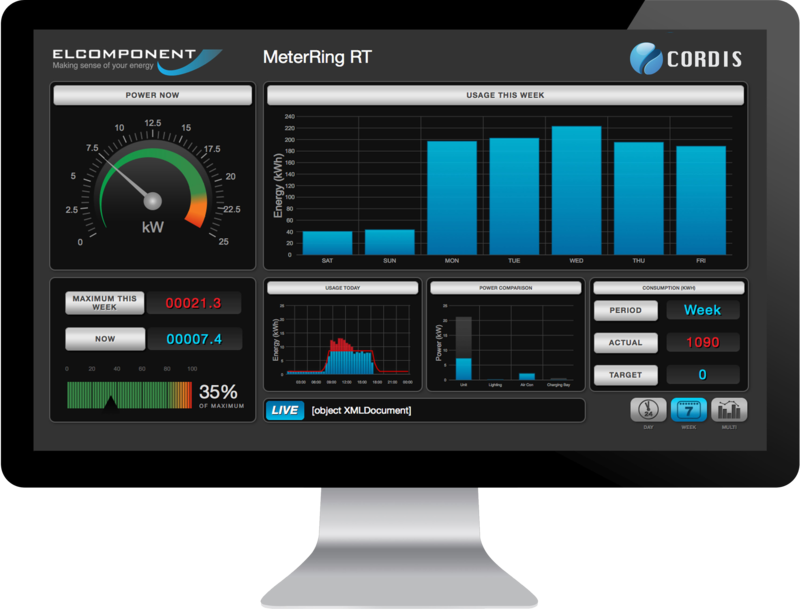 MeterRing RT offers several different presentations including individual sector performance screens and a comparison screen displaying multiple sectors simultaneously for an instant 'league table' appraisal of performance. Sector screens offer a choice of Half-Hour, Day, Week or Multi Location chart presentations, all updating in real time, and all complemented by a real time gauge. 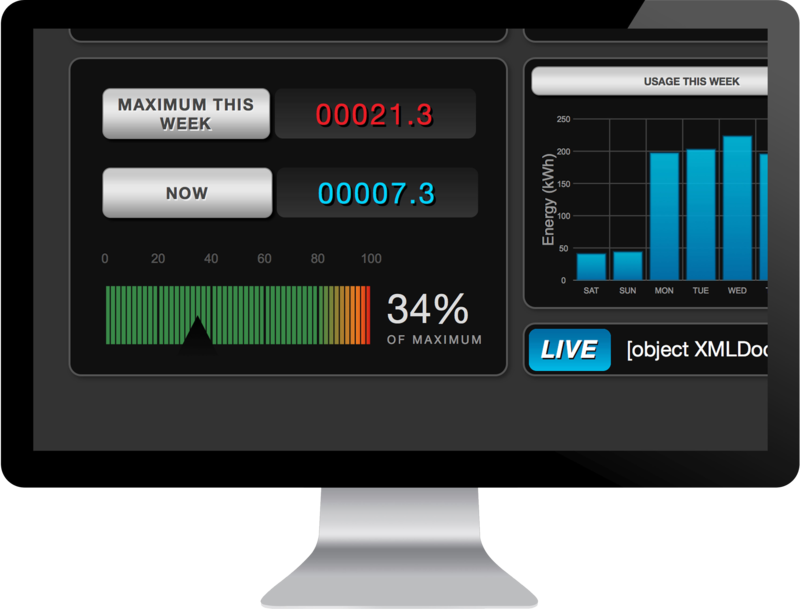 Additional features include a programmable red/ amber/green performance indicator referencing current performance to a user-defined benchmark or rolling maximum demand. Getting realtime screens installed is easy! Elcomponent has its own teams who will install the necessary hardware, arrange any fiscal meter data connections that may be required, and look after the web connection so you are up and running with the minimum of delay. 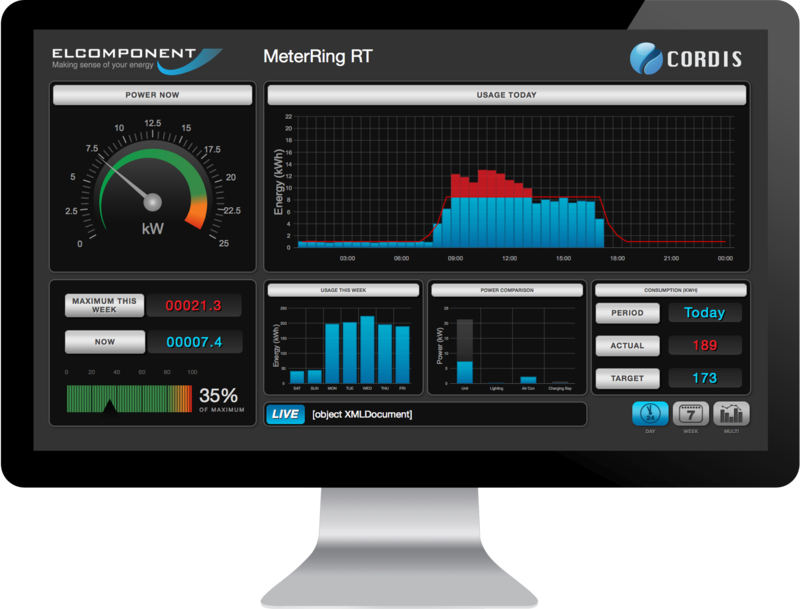 MeterRing RT is suitable for all types and sizes of organisation, and of course it integrates with our sub-metering system if applicable. It can provide information at company, building, department or meter level, the choice is yours!